Main & Market: Sights and Sounds of the Queen City and Beyond | View of Hudson River from Walter Langdon's Place in 1855. View of Hudson River from Walter Langdon's Place in 1855. An illustration of the Hudson River and grounds of the Langdon property, present location of the Vanderbilt Estate. 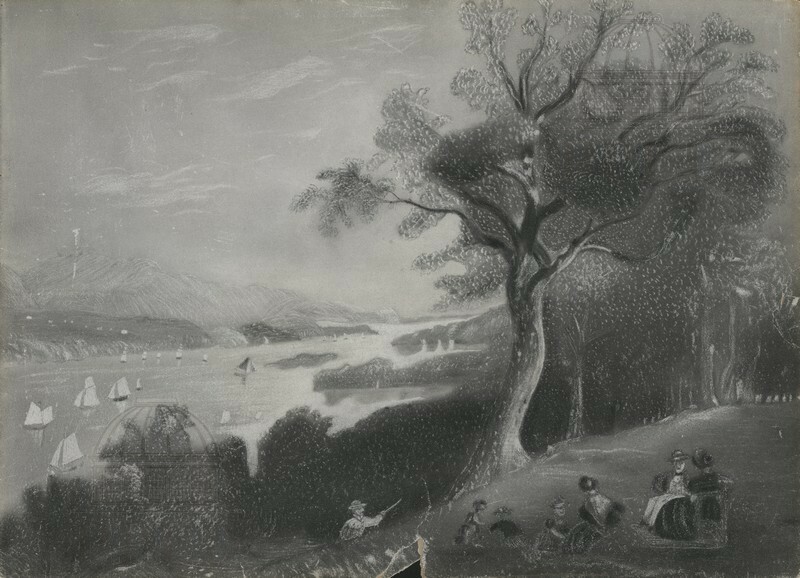 Maria A. Wiley, “View of Hudson River from Walter Langdon's Place in 1855.,” Main & Market: Sights and Sounds of the Queen City and Beyond, accessed April 24, 2019, http://mainandmarket.poklib.org/items/show/3517.